Employees that are emotionally healthy and well-balanced are more productive, efficient and creative. We can provide Energy Healing Sessions that can help your executives and staff improve their overall health and well-being. If you don’t currently have a Corporate Wellness Program, we can work with you to establish a program that works best for you and your staff. Our services can be provided on-site at your business office, at a corporate retreat or at our location in Columbia, Maryland. Click here to return to Corporate Wellness Page – be sure to read the Information section. 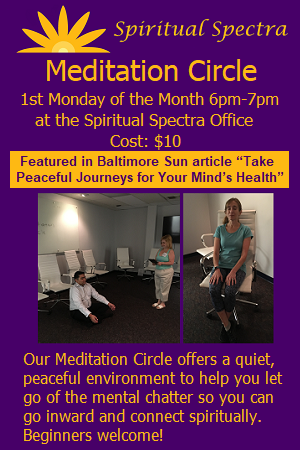 Spiritual Spectra is a spiritual and holistic healing practice offering an array of services that increase wellness through the mind-body-spirit connection. This entry was posted in Corporate Wellness, Energy Healing, Health & Wellness. Bookmark the permalink.